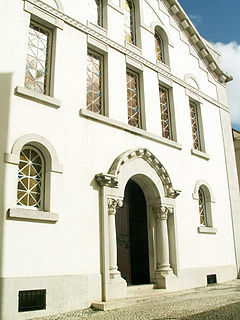 In the morning we will visit the Lisbon Synagogue, Rua Alexandre Herculano, 49, for a guided tour in English. The visit will commence at 11.30 am and will last for about 40 minutes. Members are free to make their own lunch arrangements in the vicinity. We shall meet again outside the Synagogue at 13.45 and walk, approximately eight minutes, to the Casa-Museu Medeiros e Almeida, Rua Rosa Araujo, 41. 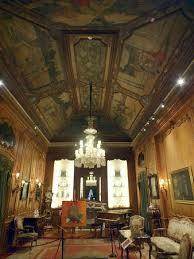 The visit to the Casa-Museu Medeiros e Almeida starts at 14.00 and will be guided in English, lasting for about two hours. This museum is devoted to the Decorative Arts and is set in the private home of Antonio Medeiros e Almeida (1895 to 1986) who founded the museum in 1973. The collection is set in 25 rooms and contains Portuguese and foreign works of art, such as furniture, painting, sculpture, tapestry, religious art and jewelry, from the 15th century to the 20th century and three collections of watches and clocks, Chinese porcelain and silver. Meeting point: Outside the “Rato” Metro station, corner of Rua do Salitre and Rua Alexandre Herculano, at 11.15.